Every now and again one has to refresh one's own self. What one does - is - well - up to that one. Me...I like to explore cafes with knitting, pens, or other items in hand and take photos. and by the time I pack up and leave, I feel refreshed. What do you do to feel refreshed? Me too!!! But - tea?? Hmmm. I am aware that it is offered at one of our favorite coffee enablers - but I do not understand why - unless you are allergic to that black nectar of the God's, Or a whole lot more Celtic than I am - which I think is biologically impossible. :^) As my English/Welsh mother would say - I know when I am sick - I make tea! Snort! Hug - and have a great day! 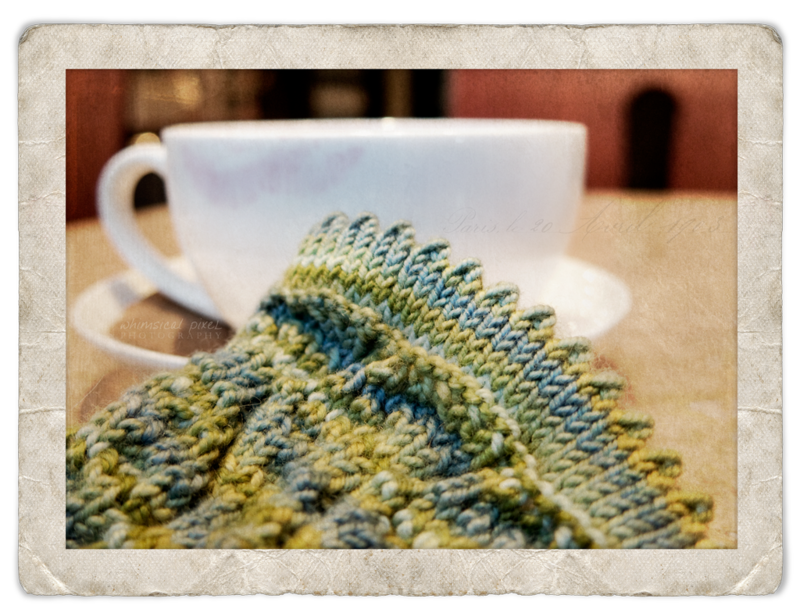 Ahh, tea and knitting...swoon. I find your pictures/quotes so well balanced and kind of uplifting. Thank you.